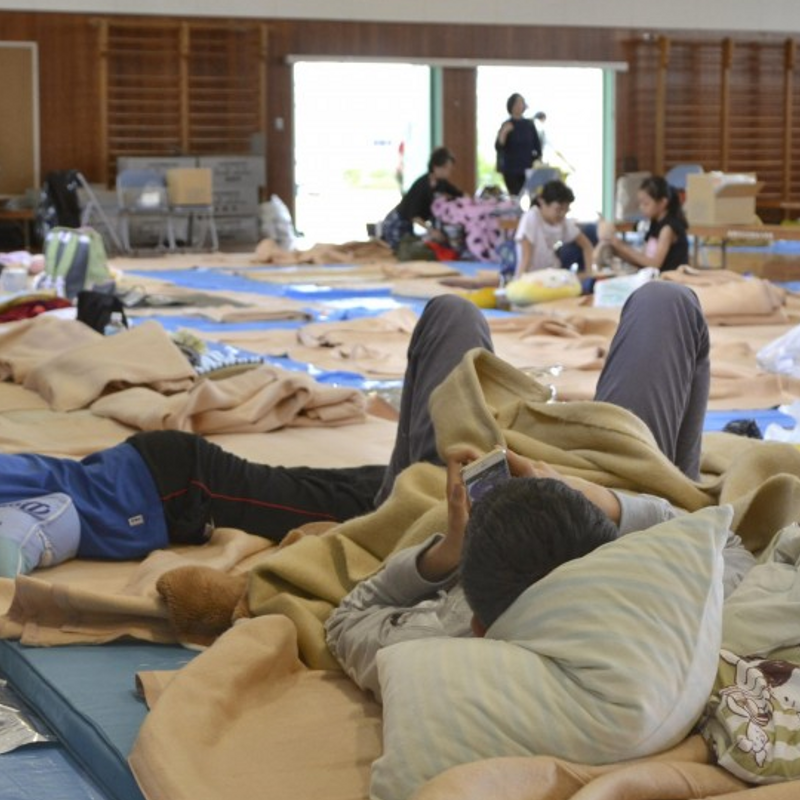 OSAKA - Hundreds of people entered a third day in shelters Wednesday in western Japan's Osaka Prefecture following a killer earthquake, while rain that started in the early hours raised concerns about the risk of landslides. The weather agency issued a heavy rain warning for the city of Ibaraki and other parts of the prefecture, forecasting up to 150 millimeters of rainfall in the 24 hours until 6 p.m. Wednesday. Some areas may see torrential rain with thunder, it said. Local authorities have covered damaged roofs of houses with plastic sheets to prepare for the rain. Some schools resumed classes, but the city of Minoo decided to continue suspending classes at public elementary and middle schools as a precaution against landslides. The number of people taking refuge at shelters had decreased to 580 by Tuesday night from 1,570 in the afternoon of the same day. The magnitude 6.1 quake that rocked the area on Monday morning, with five fatalities reported, was the biggest in the Kansai area since a magnitude 7.3 quake devastated Kobe in adjoining Hyogo Prefecture and its vicinity in 1995, killing more than 6,000 people. The victims of Monday's quake included Rina Miyake, a 9-year-old girl in Takatsuki who was hit by a concrete wall that collapsed on her as she was walking to school.